In the past a mechanic would road test your vehicle. This practice carried many safety and insurance risks. Today a technician can evaluate and repair you vehicle using the aerospace science of the computerised dynamometer. The technician can duplicate that process repeatedly and from vehicle to vehicle. This guarantees results within a kilowatt of power and sets smoke emissions and fuel consumption at optimum levels. 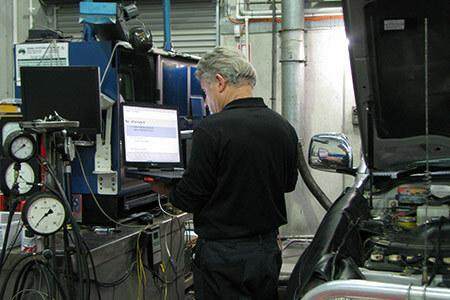 Thanks to computer technology, the dynamometer has developed from the basic water brake to the first-class diagnostic simulator it is today. The great thing about using a dynamometer to find faults is that there is usually no need to strip components. 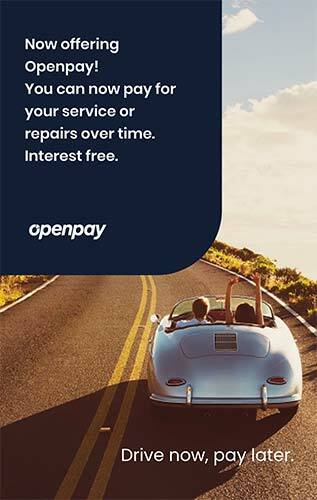 This saves us time and you money! The engine and drive train are inspected for faults. Applicable components are degreased and cleaned. Our technician connects the scanner equipment to the engine. All systems - fuel pressure, fuel flow, boost pressure vacuum, exhaust back pressure, dynamic injection timing, ignition timing are evaluated and compared to the manufacturer's specifications. The vehicle is run at a max 100kph under simulated road conditions for 5 to 15 seconds. We then analyse the computers findings. We carry out repairs, tuning, and modifications as needed. Then we rerun the tests to compare before and after results. If required, the technician will perform a single run with one brake application for 4Wheel efficiency. He runs a deceleration test and gets a print out of the brake system and ABS system. The technician disconnects the test equipment and runs the vehicle again to ensure the data has held. Your vehicle never leaves our workshop unless it requires a test drive. Should this occur we ask you to drive and our technician rides in the passenger seat.